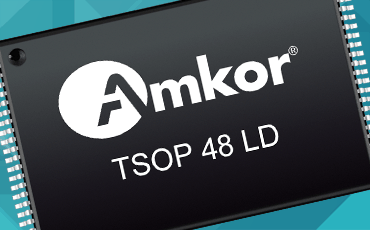 Amkor’s Thin Small Outline Package (TSOP) is a leadframe-based, plastic encapsulated package suited for memory products, including SRAM, FLASH, FSRAM, and EEPROMs. A green BOM is standard, allowing devices to meet applicable Pb-free and RoHS standards. Amkor has a broad base of resources available to help customers bring quality new products to market quickly and at the lowest possible cost.